Orchard grass found on Calvert Island. Photos by John Reynolds (left) and Heather Polowyk (right). 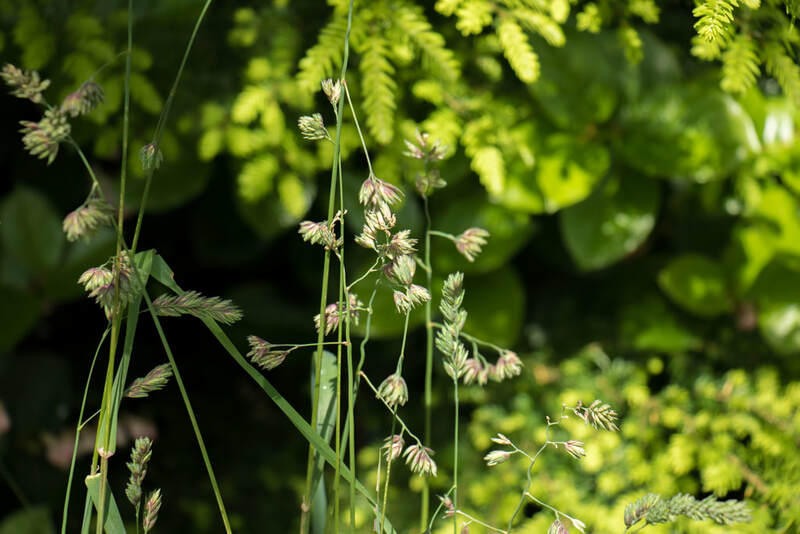 Orchard grass is a tufted perennial with hollow stems to 150 cm tall. The leaves have partially split sheaths and flat blades to 1 cm wide. The inflorescence (seed head) takes the form of a single-sided, whitish, 2-15 cm long panicle. The panicle has upright or leaning branches which bear crowded heads composed of 3-5-flowered spikelets. Click here for a more detailed description and some useful diagrams. Orchard grass is an exotic species from Europe. It has been introduced to New Zealand, Australia, and North America. It is a widespread species, can be locally abundant, and grows in disturbed sites like roadsides and pastures from low to middle elevations. It is more common in southern regions of BC, near human settlements and developed areas. It is also found in Alberta and throughout the United States. Reed canary grass (Phalaris arundinacea) is a similar species found in somewhat wetter habitats. It has a more pointed, narrower inflorescence and wider leaves. Orchard grass is used for hay, and in grass-seedling mixtures for seeding clearings and road cuts. Orchard grass competes with native plants for resources and can be a problem in sensitive ecosystems. Click here for information on management. (2002). 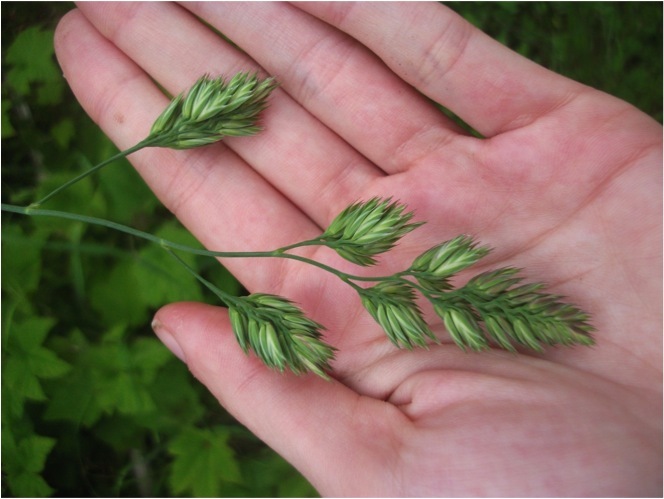 Dactylis glomerata (orchard grass). Invasive Species in Garry Oak and Associated Ecosystems in British Columbia. Garry Oak Ecosystem Restoration Team Society. Accessed 12/09/2013. Dactylis glomerata L. In Klinkenberg, Brian. (Ed.). E-Flora BC: Electronic Atlas of the Plants of British Columbia. Lab for Advanced Spatial Analysis, Department of Geography, University of British Columbia, Vancouver. Accessed 11/09/2013. Pojar, J. and MacKinnon, A. (1994). Plants of Coastal British Columbia. Vancouver, BC: Lone Pine Publishing. P. 371.